Patoranking (real name Patrick Nnaemeka Okorie) is a popular songwriter and performer in the reggae-dancehall genre. He attracts the lively attention of fans who want to know the interesting details from the biography of the celebrity. Where is Patoranking from? How old is he? What are his merits in Nigeria music industry? Let’s talk more about Patoranking below. Where is Patoranking from in Nigeria? The singer hails from Ebonyi State. He was born in Ijegun-Egba Satellite Town. Later he moved to Ebute Metta in Lagos. Patoranking was a student of Citizen Comprehensive College Epe and Jibril Martin Memorial Grammar School in Iponri. He was born on the 27th of May 1990, so he is 27 years old. Patoranking moved towards the current success gradually. He began with street performances and carnival dances.Many fans are interested in the origin of the Patrick’s stage name. 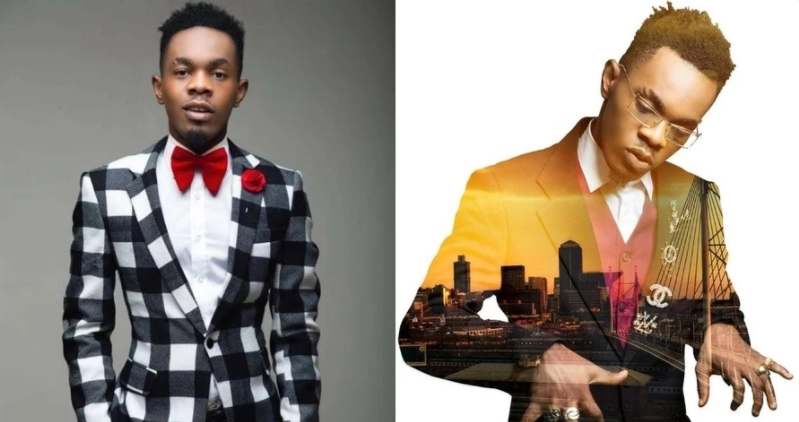 It was given to him by a Jamaican artiste whom they met in Lagos.Patoranking said in an interview that he found the inspiration in works of such artistes as Buju Banton, Bob Marley, Fela Kuti, Lucky Dube, Chaka Demus, Majek Fashek, Blackky, Blackface, Tuface and Marvelous Benjy.His music touches on many important socio-political problems. He organically combines fun melodies and rhythms with serious, deep topics.He thinks that the song “Alubarika” is a reflection of his entire creative life. Also this composition is important because thanks to it the extensive fan base and offers on cooperation with many well-known musicians appeared in Patoranking’s life.In 2014, he signed a contract with Foston Musik.On May 19, 2014, “Girlie O Remix” featuring Tiwa Savage was released. This song was on the 9th place in the MTV Base’s Official Naija Top 10 chart.2015 was extremely successful for the singer. His song “Daniella Whine” and “My Woman, My Everything” got to the MTV base Official Naija Top 10 Chart.In 2016, Patoranking became one of the judges of singing contest The Voice Nigeria.1st August 2016, his first studio album “God Over Everything” was released. Phyno, Wizkid, Sarkodie, Olamide, Elephant Man, and Wasiu Ayinde Marshall were featured in the album. We hope that it was interesting for you to find out the brief biography of Patoranking. He is a very hardworking and talented musician. Let us wish him further career success. 0 Response to "Top Facts About Patoranking: His State, Age, Career Journey and Success"